Have you ever pondered the inextricable link between science and music? Explore music on a different level in our free lunchtime series This Sounds Like Science, returning for a third season on Tuesday 26 February 2019 to City Recital Hall at Angel Place Sydney. Join leading Australian researchers as they consider music in relation to scientific concepts and ideas. 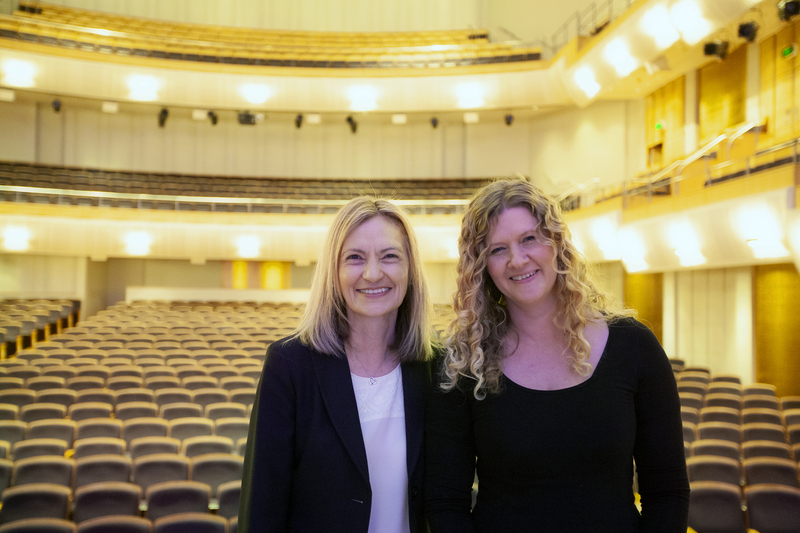 Inspiring Australia and City Recital Hall have curated an ecclectic program, with the 2019 season exploring philosophy, chemistry and the period table of elements, music composed and performed by robots, mathematics and mental health. Throughout the centuries, music has inspired philosophers. Some thought it was dangerous (Plato) and tried to legislate its practice. Others found it metaphysically profound (Schopenhauer) or very suspicious (Kierkegaard). Goetz Richter, musician and philosopher at the University of Sydney’s Conservatorium of Music, discusses the perplexity philosophers feel when facing (the) music. Find out more. What has music got to do with the periodic table of the elements? Much more than the Tom Lehrer song, that’s for sure! Join chemist Dr Alice Williamson and science communicator Tom Gordon for an interactive exploration of the role music played in shaping the periodic table. Find out more. Computers do much more than process numbers, but can they be truly creative? In 1842, programmer Ada Lovelace argued that machines could compose music. Her forecast proved to be true, but are there aspects of making and playing music that robots cannot learn? Join artificial intelligence expert Professor Toby Walsh (pictured) in conversation with musicians Justin Shave and Charlton Hill from Uncanny Valley to explore creativity through the prism of music composed and played by machines. Find out more. Why do guitars, flutes and voices sound different? How do we hear the different notes in a piece of music? Most importantly, what does all of this have to do with the cover of Pink Floyd’s The Dark Side of the Moon? Join Professor Geordie Williamson for a journey into the shape of sound and sound waves to explore the fascinating world of timbre, overtones, modes and frequencies. Part of Sydney Science Festival in National Science Week. Find out more. Have you ever noticed how much music affects your mood? Mental health researchers Dr Sandra Garrido and Professor Katherine Boydell return to This Sounds Like Science for an interactive session as part of the Big Anxiety festival. Find out more. Image of Professor Katherine Boydell and Dr Sandra Garrido courtesy of David Vagg. This Sounds Like Science is a collaboration between Inspiring Australia and City Recital Hall.